So, I made it. And it was delicious. Yes, it’s a green sauce. This may scare people. However, the flavors are amazing. It’s garlicy, slightly spicy, and it has just a hint of cheese. This is the perfect mate for pasta. I love red sauce, don’t get me wrong. Sometimes you just want something a little different than red pasta sauce. This is the perfect go-to for that need. So, if you are looking for an easy pasta sauce, this is it. It doesn’t require any weird ingredients, and you can spice it up however you want. This recipe is perfect for 2 servings of pasta, so increase or decrease the amount of ingredients as you need to. This recipe took me less than 10 minutes from start to finish. 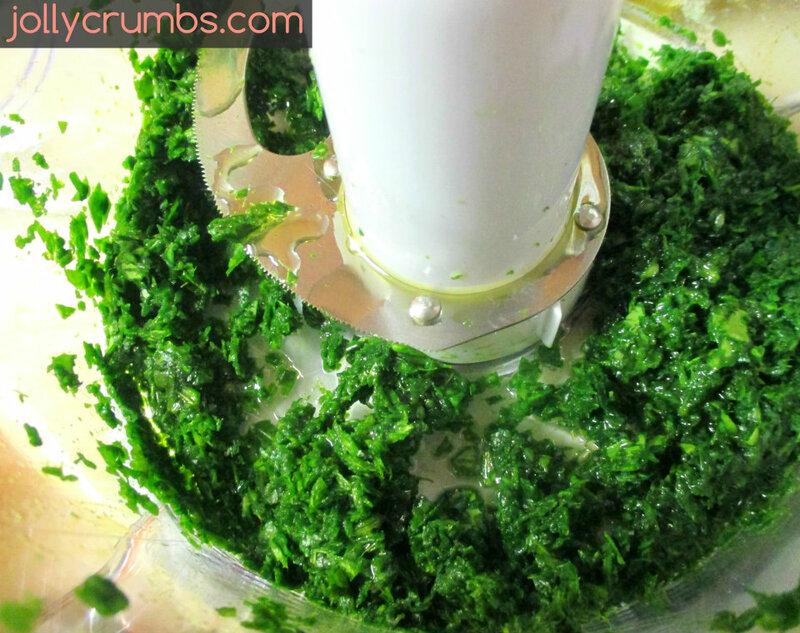 The first step is to measure out 4 cups of spinach and placing them into the bowl of a food processor. If you don’t have a food processor a blender will also work well. 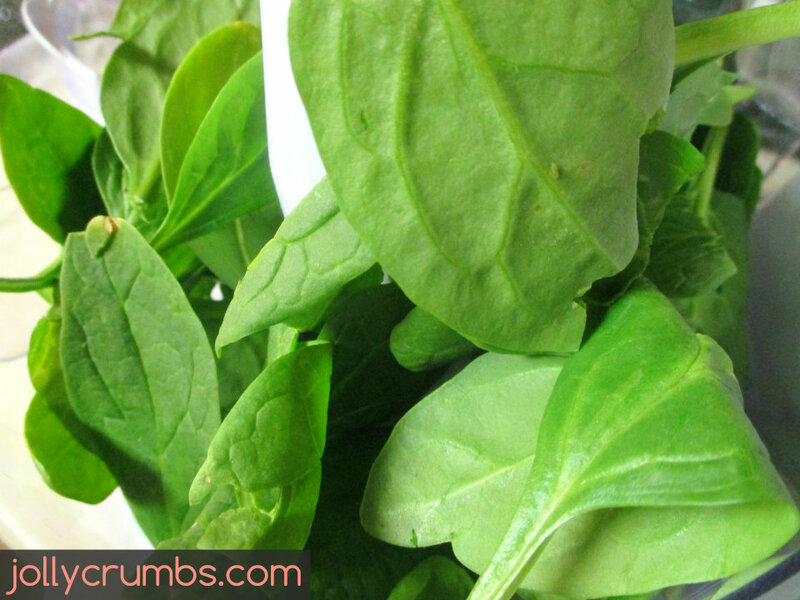 Pulse the baby spinach in the food processor, or blend it in a blender, until the baby spinach is fine. Add in the oil, garlic, and spices and pulse or blend again until completely smooth. Feel free to add more spices to meet your own tastes. Pour the pesto into a bowl and stir in the Parmesan cheese. Make sure it is well incorporated. Place your cooked pasta into the bowl with the pesto. Make sure the pasta is hot and well drained. Toss with the pesto so all the pasta is coated well. You can top with additional cheese if you would like. This pesto is really delicious! It is full of flavor and light on calories. I made ours a little spicier, and it really livened up the pasta. 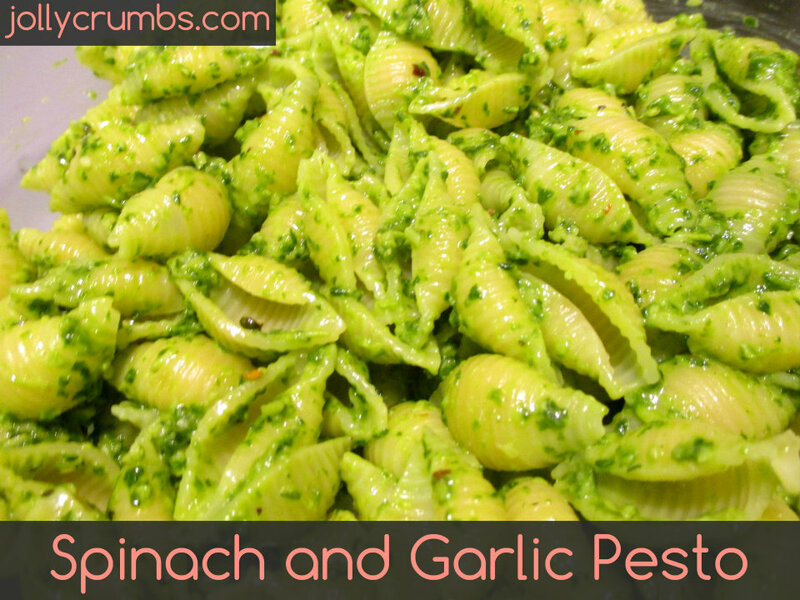 Also, the garlic in this pesto is delicious, and it also goes great with the spinach and pasta. 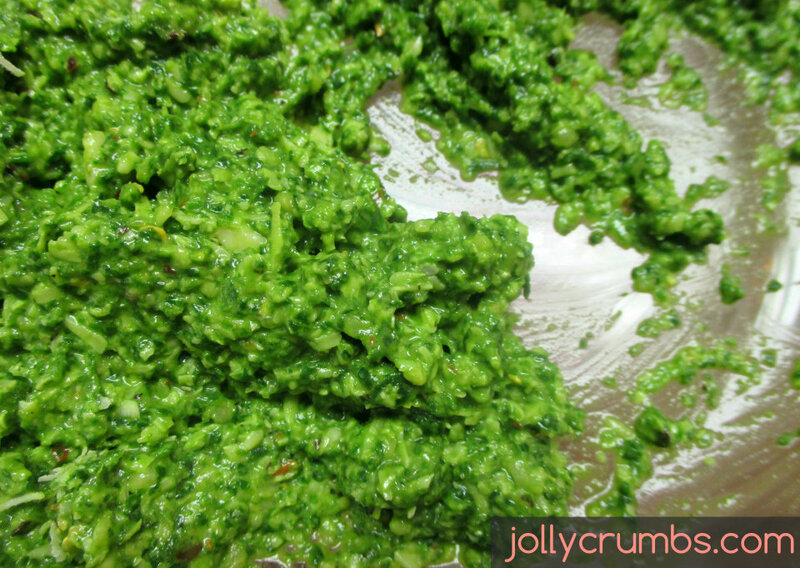 If you like pesto or you have never tried it, you will love this recipe. It’s so simple to make, and requires very few ingredients. When you are looking for something different than red pasta sauce, give this recipe a try! You won’t regret it. Pulse the baby spinach in a food processor until fine. You can also use a blender for this. Add in the oil, garlic, and spices and pulse again until completely smooth. Pour pesto into a bowl and stir in the Parmesan cheese. 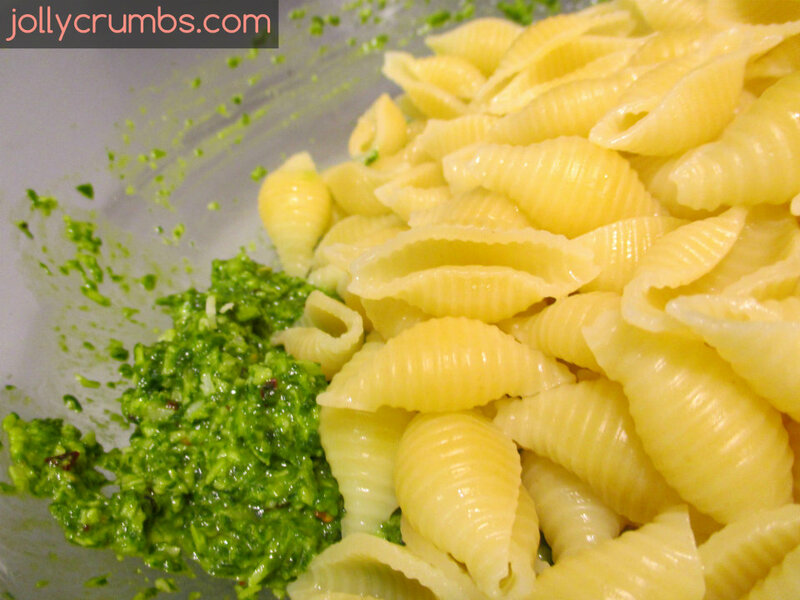 Add hot, cooked and drained pasta to the pesto and stir well to cover the pasta. Top with additional cheese if you desire. I LOVE making spinach pesto! It’s one of my standby dishes and my husband goes nuts when I use it on paninis (especially with roasted red pepper strips!). I also don’t use pine nuts or walnuts, but I never considered adding red pepper flakes to mine. I will give that a try next time! I like the idea of using it on paninis! I will have to try that. The red pepper flakes add just enough heat to offset the olive oil taste. I hope you like it! This looks delicious and simple! Thank you! It’s very easy, and fresh which is always a bonus.